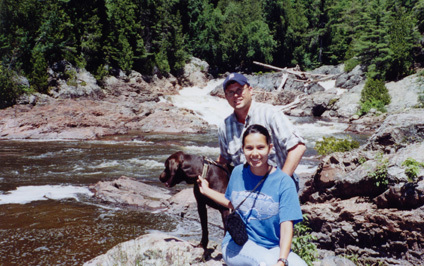 In July 2004 Ann, Thunder, I packed the truck and boat and headed into Ontario for a camping and fishing adventure. 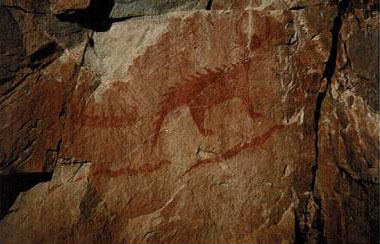 We saw moose, pictographs, and caught lots of fish. 1. 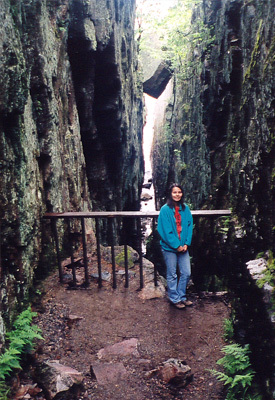 Ann in the cavern near the pictographs at Agawa Rock. 2. 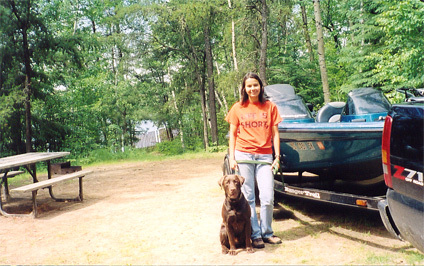 Ann and Thunder at our campsite on White Lake. 3. 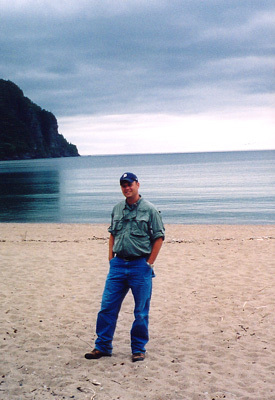 Here I am on the shore of Lake Superior. 4. After lunch by Chippewa Falls the three of us pose for a photo. 5. 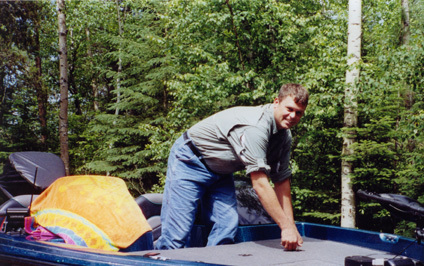 Here I am loading up the boat for a day of fishing. 6. 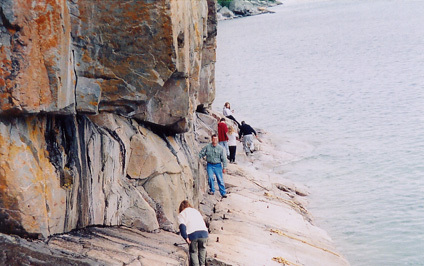 I brave the treacherous rocks to view the pictographs. 7. The panoramic White River.